Even in the 21st century when science has long since replaced mysticism as the one true source for answers to questions like, “Why are we alive?”, Freemasonry retains its hold on men’s imaginations. Bestsellers like Dan Brown’s The Da Vinci Code and its follow up The Solomon Key are chock full of arcane Masonic references, while blockbuster movies like Nicolas Cage’s National Treasure popularize the relationship between our founding fathers and the mysterious fraternal order. 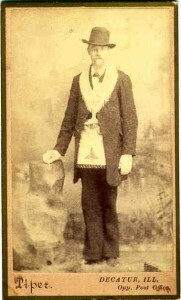 The history of the Freemasons is steeped in mystery and intrigue. Not that the Masons are not forthcoming with facts; it is more that facts are not so forthcoming where the Masons are concerned. The early history is based on theory and myth. It is only after the early 1700’s that documents evidencing the existence of the Masons surface. With the variety of Free Mason rings available, finding the perfect Free Mason ring to show people can seem like a difficult decision. Rings are created to reflect not only the unity within the brotherhood of the Free Masons but to reflect the personal beliefs of the individual. 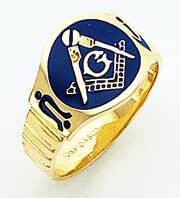 These rings are worn as a symbol of the commitment made between the Free Masons and the individual and are an outward way to show this commitment.